If we told you that you could own a device that lets you create free fuel, free heat and free electricity at the same time, you’d probably laugh at us or call us voodoo wizards. Well, get ready to have your mind well and truly blown, because the BioLite CampStove does all of this and more, making it a one of the most adventurous van life essentials for your next trip! We love a good campfire; they’re a source of heat, and they keep moral up too. BioLite have taken everything we love about this age old camping treat and given it a modern day twist for the true digital nomad. It might only be small, but the flames that the BioLite CampStove produces pack a punch. You can still gather round it with your friends and cook marshmallows or tell ghost stories, but you’re probably going to be more interested in what this piece of kit can do. 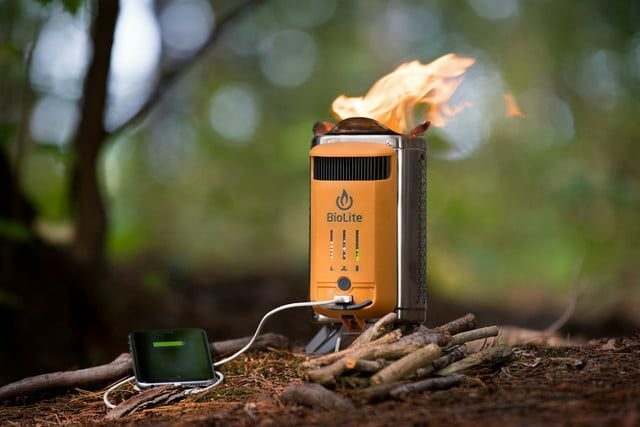 The BioLite CampStove uses electricity in a number of ways, and it’s all ‘created from the flames’ (that sound’s a bit Game Of Thrones doesn’t it). You can burn pretty much anything that you find on your travels in this little beauty, and the excess heat produced from your mighty-but-miniature fire creates electricity via a thermoelectric generator making it one of the best power banks to use around a fire. The electricity powers an ingenious little fan that increases airflow (keeping your fire burning) and distributes the heat to all of your friends. What’s more, the CampStove has four different fan speeds, and its patented combustion technology burns off smoke before it has a chance to escape the unit. No more smelly clothes or alerting people that you’re wild camping anymore! 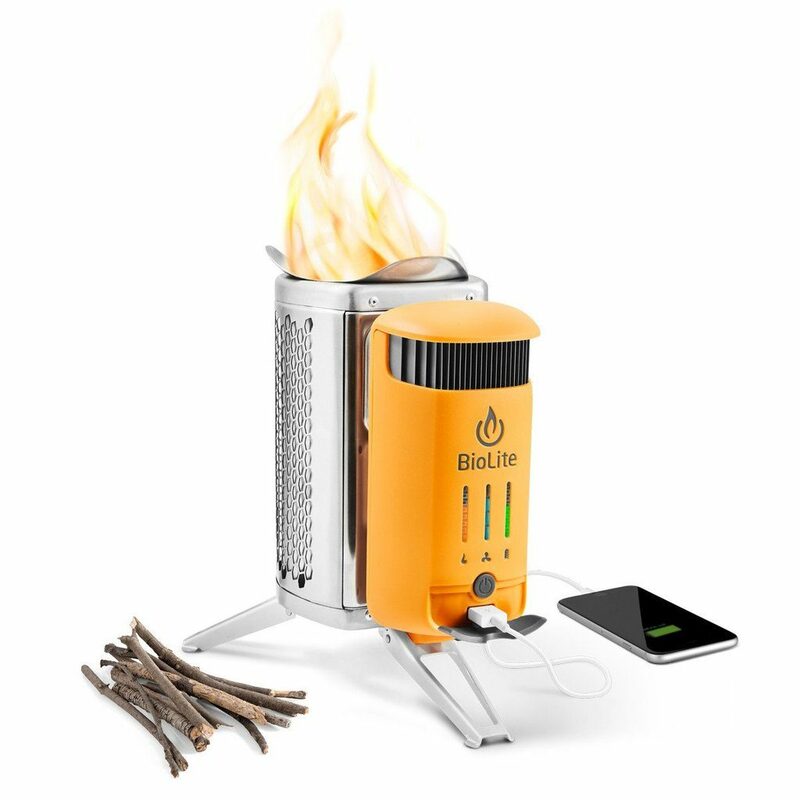 The electricity that the BioLite CampStove produces can also be used to (get ready for this) charge up your USB devices! It produces 3 Watts of electricity that can be used whilst you’re say next to the fire or stored in an onboard 2600mAh battery. How cool is that! A twenty minute burn is enough for you to charge your phone and get an hours talk time from it. It even has an LED dashboard on the front of the device that lets you see how much charge you have available, as well as the fan sped and heat of your fire. Can you cook on it? YES! The BioLite CampStove can boil up a litre of water in under five minutes, although the time taken will all depend on how strong your fire is. 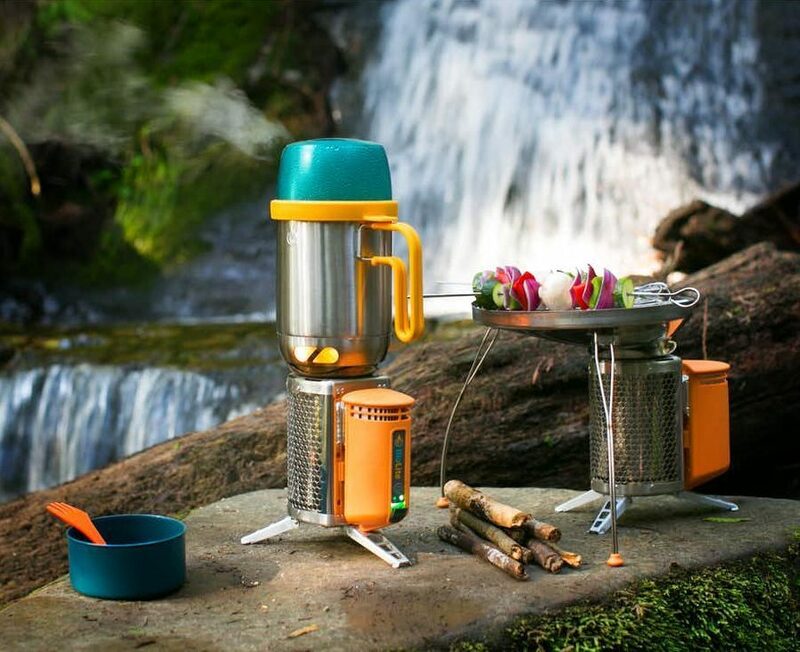 You can also add a Portable Grill, a KettlePot and a CoffeePress to make epic outdoor breakfasts that will fuel you up for the days adventures. At £129.99 it’s an inexpensive bit of kit that will really simplify your heat and cooking needs whilst living off the grid. I think it’s a small price to pay to get such a clever device that can make you totally self sufficient just by burning a few twigs and bits of bark. It’s an ingenious bit of kit, and one that we will certainly be placing an order for as soon as we’ve published this article! 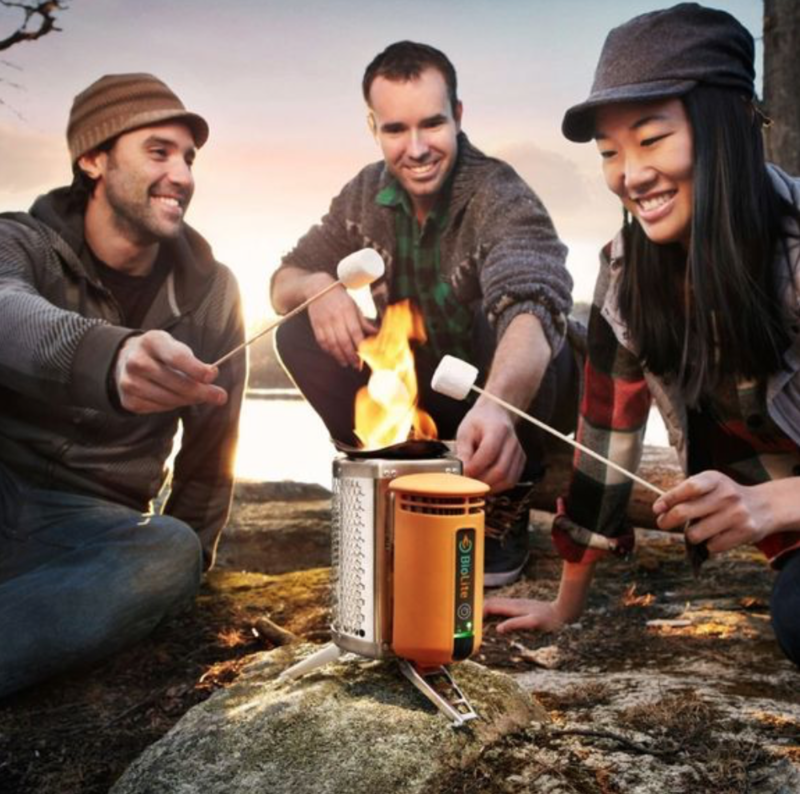 For more information and to buy a BioLite CampStove of your own, visit Amazon by clicking the button below! Looking for some Road Trip inspiration? Check out Van Clan’s Best Road Trip Songs and get the party started. Join the Van Clan on Facebook, Twitter and Instagram!